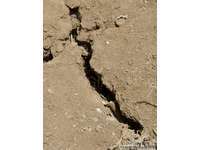 Soil with recently formed cracks. 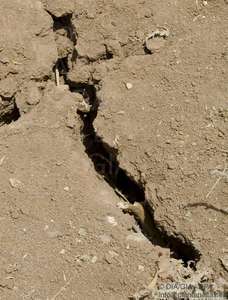 During the dry summer period, these cracks gradually become filled with surface material, including plant material and dung pellets. Due to its specific chemical composition, the clay swells again when it starts raining.